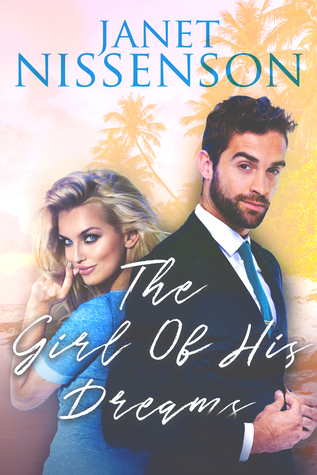 The Girl Of His Dreams is my first read by author Janet Nissenson. It appears to be a spin off of the Splendor Trilogy, but I do believe it can be read and enjoyed as a stand-alone novel. I thought The Girl Of His Dreams was a fun and entertaining read. I thought Jordan was a really interesting character and loved getting inside of his head. He was your typical young doctor that had the world at his feet. He could have any woman he wanted, yet he couldn’t stop thinking about his married patient, Tessa. So, when he goes off to Maui for a vacation, he’s hoping not just for some fun in the sun, but also to get over his crush. All is going to plan until he meets Aubrey. He is immediately drawn to her and if he didn’t know better, she could be a dead ringer for Tessa. Aubrey is everything that Jordan could possibly want: young, beautiful, smart and most importantly, available. Has Jordan finally met the woman of his dreams? Overall, I thought this book was an ok read. I enjoyed the pace and the story-line. I liked Jordan and Aubrey together. I thought they matched each other well and had great chemistry….they certainly burned up the pages together. I liked seeing these two interact and grow as a couple. Jordan certainly wasn’t perfect, but you could tell that his feelings for Aubrey were genuine and you couldn’t help but root for him to get his happily ever after. Posted in 3 Stars, Adult, Amy, Contemporary Romance, Reviews. Bookmark the permalink.